Where do the experts have the teams ranked this week. Week 8 saw exciting matches run throughout, from Rugby United diving over with time expired to edge ahead of the visiting Toronto Arrows; to the San Diego Legion, handing the Glendale Raptors to their second draw of the season, with a try on the final play. 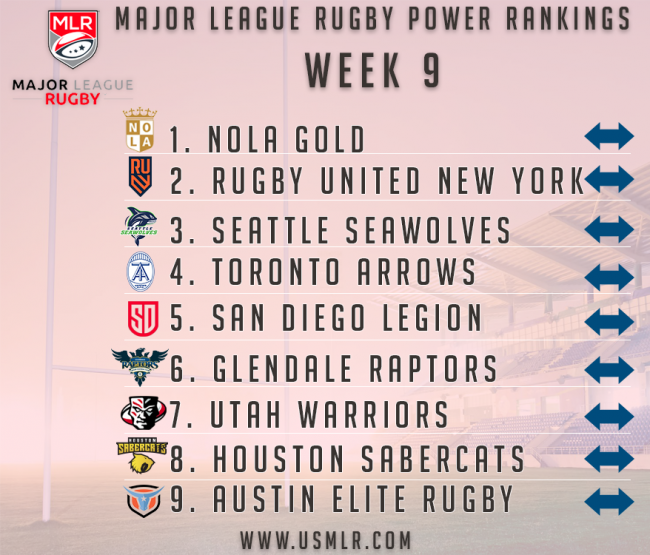 After the favored teams (Seattle Seawolves and NOLA Gold) held serve in their matches (against Austin Elite and the Houston SaberCats) and the draw- the experts seemed pretty fond of their rankings from last week. They were so fond of them, that they've left them unchanged. 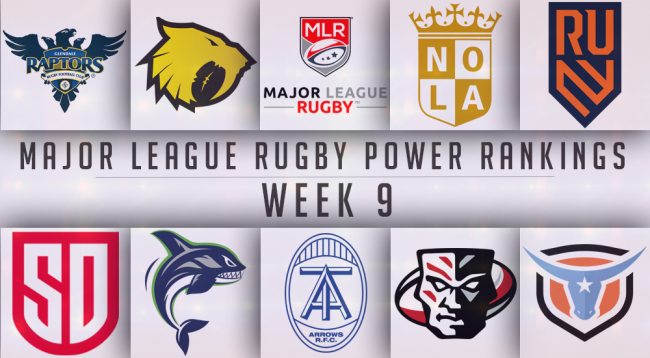 This weekend with three games slated, including an enticing Glendale- New York match up, there could be more movement in next week's power rankings.